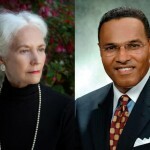 We are especially excited this year to announce Dr. Freeman A. Hrabowski, President of University of Maryland, Baltimore County, and Dr. Andrea Lunsford, Louise Hewlett Nixon Professor of English and Director of the Program in Writing and Rhetoric as our Plenary Speakers! 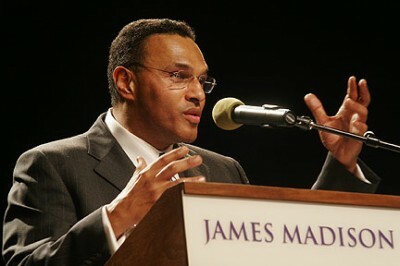 Dr. Freeman A. Hrabowski has served as President of UMBC (University of Maryland, Baltimore County) since 1992 and is a consultant on science and math education to national agencies, universities, and school systems. He was recently named by President Obama to chair the newly created President’s Advisory Commission on Educational Excellence for African Americans. He also chaired the National Academies’ committee that produced the recent report, Expanding Underrepresented Minority Participation: America’s Science and Technology Talent at the Crossroads. Named one of the 100 Most Influential People in the World by TIME (2012) and one of America’s Best Leaders by U.S. News & World Report (2008), he also received TIAA-CREF’s Theodore M. Hesburgh Award for Leadership Excellence (2011), the Carnegie Corporation’s Academic Leadership Award (2011), and the Heinz Award (2012) for contributions to improving the “Human Condition.” UMBC has been recognized as a model for academic innovation and inclusive excellence by such publications as U.S. News, which the past four years ranked UMBC the #1 “Up and Coming” university in the nation. Dr. Andrea Lunsford, Louise Hewlett Nixon Professor of English and Director of the Program in Writing and Rhetoric, joined the Stanford faculty in March, 2000. 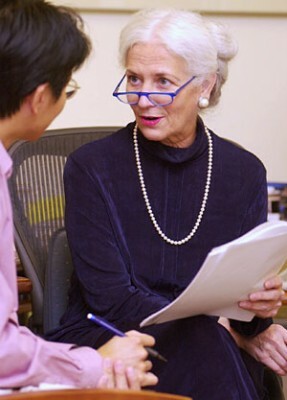 Prior to this appointment, Lunsford was Distinguished Professor of English at The Ohio State University (1986-00), where she served as Vice Chair of the Department of English, as Chair of the University Writing Board, and as Director of the Center for the Study and Teaching of Writing; and Associate Professor and Director of Writing at the University of British Columbia (1977-86). Currently also a member of the faculty of the Bread Loaf School of English, Professor Lunsford earned her B.A. and M.A. degrees from the University of Florida, and completed her Ph.D. in English at The Ohio State University (1977). She has written or coauthored fourteen books, including The Everyday Writer; Essays on Classical Rhetoric and Modern Discourse; Singular Texts/Plural Authors: Perspectives on Collaborative Writing; and Reclaiming Rhetorica: Women in the History of Rhetoric, as well as numerous chapters and articles. Her most recent books are The St. Martin’s Handbook, 5th ed., and Everything’s An Argument, and she has contributed essays and chapters to numerous volumes related to composition and rhetoric. It’s hard to believe, but we are already preparing for the 2014 National Conference on Acceleration in Developmental Education. It will be held on June 19-20, with pre-conference workshops on the 18th. This is its 6th year, and each year has been better than the previous edition. We are especially excited this year to announce Dr. Freeman A. Hrabowski, President of University of Maryland, Baltimore County, and Andrea Lunsford as our Plenary Speakers. We will announce session and workshop options as soon as they become available. We look forward to another successful conference. 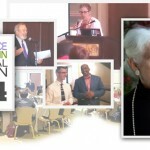 Proposals are now being accepted for the 6th National Conference on Acceleration in Developmental Education, due by 2/15/14.